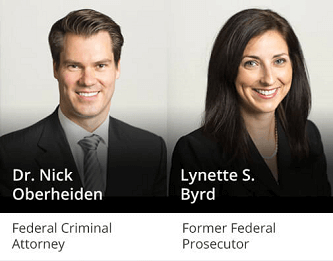 Tyler Pre-Trial Detention Appeal Lawyer - Oberheiden, P.C. Overview. A defendant’s first appearance in court following an arrest is called an initial appearance hearing. At the initial appearance hearing, one of five United States magistrate judges for the Eastern District of Texas will determine whether to release the defendant from custody on bond while the trial is pending or to keep the defendant in custody or “pre-trial detention.” The magistrate judge will base his decision on evidence presented by the Assistant United States Attorney and any relevant public records such as the defendant’s criminal history. While the defendant has a right to be present and represented by an attorney at the hearing, he may not testify or present any evidence. Basis for Appeal. While the prosecuting attorney usually has a minimum of several weeks advance notice of the charges and evidence against the defendant, the defense counsel is often new to the case and even the defendant. Due to this gross disadvantage, the defense counsel may not be able to gather all the relevant facts in time to present them at the initial appearance hearing. Therefore, a defendant has the right to appeal a pretrial detention order based on subsequently discovered information. Your Right to Appeal. Where a magistrate judge issues a pretrial detention order, the defendant may file an appeal to have it reviewed by one of the eight United States district judges for the Eastern District of Texas, which has original jurisdiction over the case. The district court may call a hearing on the appeal or base its decision on the pleadings alone. The Appeals Court. The district court reviews the magistrate judge’s order de novo, which means “anew.” In other words, the district court must conduct an independent review of the facts without deference to the magistrate’s legal conclusions. United States v. Koenig, 912 F.2d 1190 (9th Cir. 1990). Both the prosecution and the defense may present evidence in their pleadings. The standard of review. In in the Eastern District of Texas, pretrial release should be denied only in “rare circumstances,” due in part to the presumption of innocence. See United States v. Sanchez-Martinez, 2013 WL 3662871 (D. Col. 2013); United States v. Dany, 2013 WL 4119425 (N.D. Cal. 2013). Presumption of Innocence. Every accused person is presumed innocent unless and until proven guilty in a court of law. Based on this principle, the Bail Reform Act dictates that defendants should be released on bond pending trial “unless the judicial officer determines that such release will not reasonably assure the appearance of the person as required or will endanger the safety of any other person or the community.” 18 U.S.C. § 3142(b). In other words, pretrial detention is authorized “only upon proof of a likelihood of flight, a threatened obstruction of justice or a danger of recidivism in one or more of the crimes actually specified by the bail statute.” United States v. Butler, 165 F.R.D. 68, 71 (N.D. Ohio 1996) (quoting United States v. Himler, 797 F.2d 156, 160 (3d Cir. 1986) and citing United States v. Byrd, 969 F.2d 106 (5th Cir. 1992); United States v. Ploof, 851 F.2d 7 (1st Cir. 1988)). Thus, pretrial detention is only appropriate where the prosecution proves by clear and convincing evidence “that no condition or combination of conditions would reasonably ensure [the accused’s] appearance as required and . . . that no condition or combination of conditions would reasonably ensure the safety of any other person and the community.” United States v. Confalone, 2015 U.S. Dist. LEXIS 151998 (N.D. Tex. Nov. 10, 2015). The attorneys of Oberheiden, P.C. have handled hundreds of pre-trial bonds and appeals in federal court. The team is dedicated to your goals and comprised of experienced defense counsel including several former federal prosecutors. Consult with Criminal Defense Attorneys. The procedures for pretrial release vary greatly between Texas state court and the United States District Court for the Eastern District of Texas. 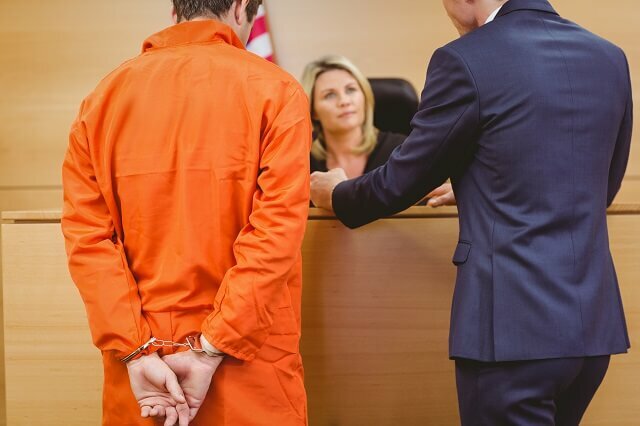 Therefore, if you are being held on federal criminal charges, you need lawyers who are thoroughly familiar with federal law and federal procedures. Specifically, if you need assistance obtaining pretrial release in federal proceedings, you should contact Oberheiden, P.C. and speak to one of our experience federal defense attorneys. ← What Should I Do If I Want To Undo My Plea Agreement?